Thanks to all who attended the 6th Annual Inspire Greatness Gala on Oct. 26 at the Four Seasons Hotel in Chicago and all our generous sponsors. A special heartfelt thank you to Karen Atwood, President of Blue Cross and Blue Shield of Illinois, who chaired the event. She inspired Gala attendees with her uplifting words about how Special Olympics transforms lives and asked everyone to give generously to support the organization and the event. Special Olympics Illinois President & CEO Dave Breen acknowledged Justice Anne Burke who organized the inaugural Special Olympics Games that took place in 1968 at Chicago’s Soldier Field and helped to launch this now global movement. Justice Burke attended along with her husband, Chicago Alderman Ed Burke. CBS2 Chicago anchor Rob Johnson was the master of ceremonies and led a delightful Q&A with Special Olympics athlete and Global Messenger Tony Hill following the inspirational video about him and his team, The Southern Illinois Grasshoppers. View photos from this year’s Gala. 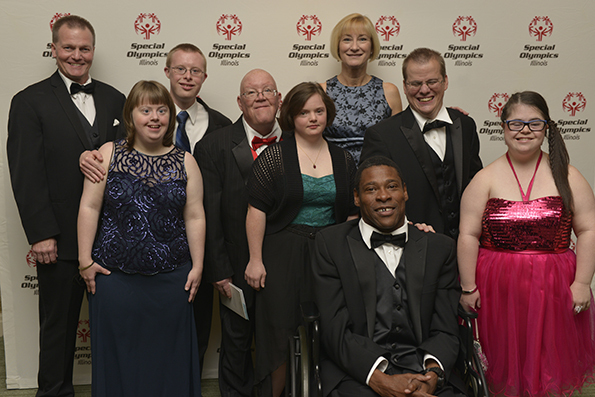 This year’s Gala raised more than $850,000 to support the year-round programs of Special Olympics Illinois and its efforts to serve even more athletes in the future. Since its inception, this event has raised more than $3.3 million. Thanks to all of the Gala’s sponsors! 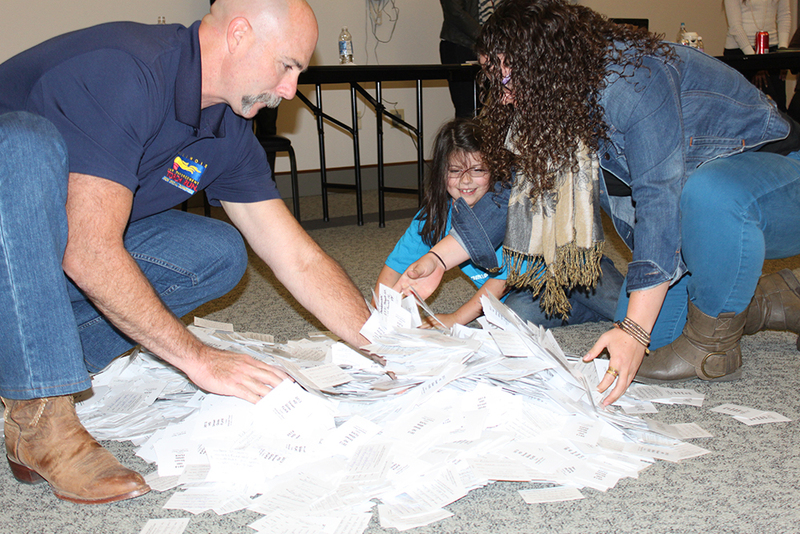 So many good stories were shared by athletes, family members, coaches, volunteers and law enforcement officers in our Share Your Story contest! We want to thank everyone who took the time to submit their story – each story touched the hearts of the committee members in its own unique way. 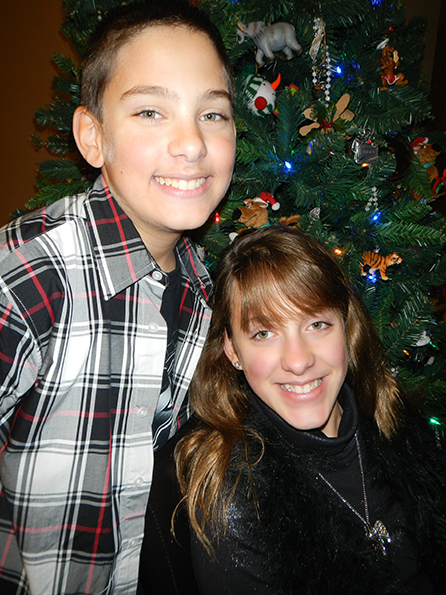 The winner of the contest is Justin Grammer of Joliet and his entry “My Sister, My Hero.” Justin’s story will be featured in a statewide promotion, in this e-newsletter and on the website and in social media in the coming months. Justin will also be recognized as our honorary Chair (representing SOILL) and receive 4 tickets to attend the premiere First Look for Charity, the black-tie preview event prior to the opening of the Chicago Auto Show in February. Read More about Justin and his sister Jessica and the other Top 5 winners, whose stories will be featured in the coming months. The coolest event of winter is back for its 16th year, offering chills and thrills for participants in 20 locations across the state. Participants collect at least $75 in donations for the privilege to “be bold and get cold” by plunging into an icy Illinois lake. The cold you will feel is temporary, but the positive impact made for the athletes of Special Olympics will last a lifetime! Join the thousands of warm-hearted Plungers in Freezin’ for a Reason and register online today! You can then create a personalized fundraising page that can be sent to friends, family and colleagues, who can easily make a secure online donation. For additional information, or to register online, visit www.plungeillinois.com. It was a warm and enthusiastic reunion for Garrett Anderson and Barbara Glanz on Sept. 13 when Garrett was invited to attend a presentation Barbara was doing for the Illinois chapter of the National Speakers Association. Glanz is a nationally recognized professional speaker, author of 12 books and a consultant who works with organizations that want to improve morale, retention, and service and with people who want to rediscover the joy in their work and in their lives. Garrett, 24, is an athlete and a Global Messenger for Special Olympics Illinois. He had met Glanz six years ago when he auditioned for and got the part to play “Johnny” in Glanz’s signature story of “Johnny the Bagger®”. The story of “Johnny the Bagger” is a true story based on a presentation Glanz did for a large supermarket chain to lead a customer service program – to build customer loyalty. The story is about a 19-year-old employee with Down syndrome who was in the audience that day too and was inspired to come up with his own idea of how to make a difference. He decided to create a “thought for the day” that he would type up and put in each customer’s shopping bag. This simple but thoughtful idea had created a wonderful spirit of service with customers and throughout the entire store. “Johnny” had transformed the store! To see the trailer of this inspiring story, click here. Garrett portrayed the real “Johnny” in the video that has been viewed by more 5 million people on YouTube and the full length video used for training by countless corporate, private organizations and other groups looking to develop their customer service, customer loyalty, leadership and motivation amongst their employees or groups. 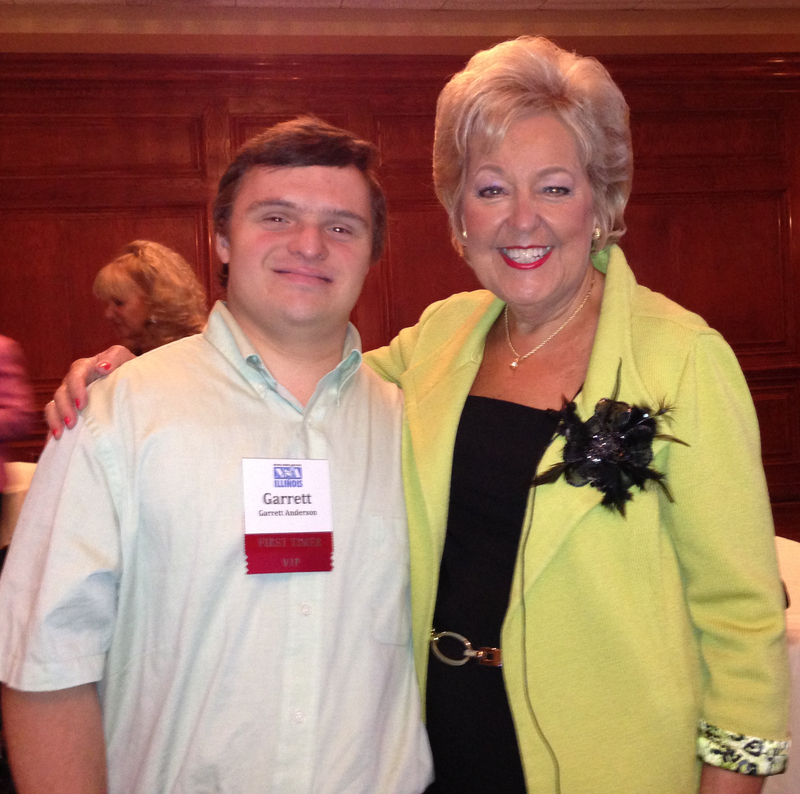 It is ironic that since then, Garrett has completed the training to be a Global Messenger for Special Olympics Illinois in 2011 and has given more than 30 speeches since then – several to crowds of more than 300 people. For more information on the Global Messenger program, contact Karen Milligan at 309-888-2013. Athletes, are you looking for leadership roles within Special Olympics Illinois outside of the playing field? Do you want to be a part of opportunities to create awareness and education? 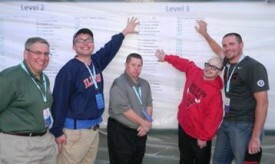 Do you want to be a part of the movement of athlete leadership for Special Olympics Illinois? If so, we want to hear from you! 2014 will bring new opportunities for athlete leadership including Input councils, leadership development workshops, Global Messenger training, and the new ALPs University for continued education. All athletes with an interest in sharing their thoughts and the thoughts of their teammates, speaking as an athlete ambassador, or identifying and developing leadership skills – we want to hear from you! Upcoming programs being planned now for 2014! For more information, contact Karen Milligan at 309-888-2013. Or complete an ALPs Athlete Interest Form. From left, Mike Chmielewski, Eric Schmidt, Steven Weith, Ben Brizzolara and Dave Dauphin represented Illinois at the national tournament. On Oct. 19, a group of educators was honored for the work they do with the Special Olympics Illinois Youth Activation Committee. 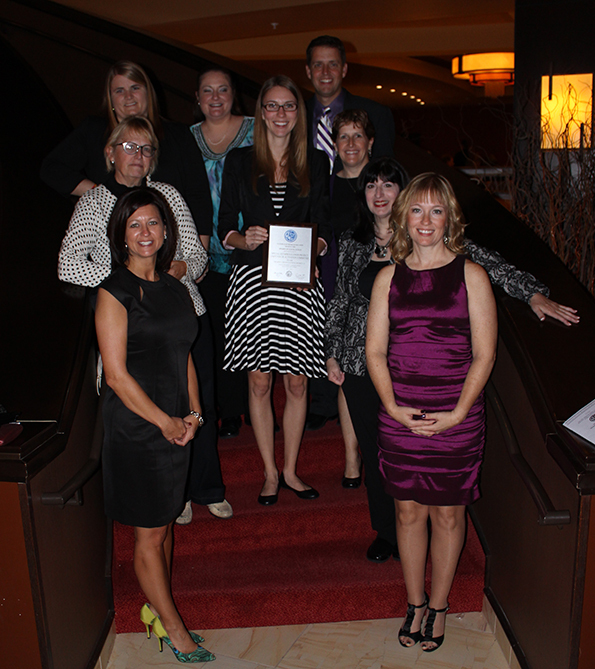 The group received an Award of Excellence from the Illinois State Board of Education as part of its 2013-14 Those Who Excel Awards Program. “We are extremely grateful for all the time and effort they put forth in helping to transform the lives of athletes across the state,” said Jen Marcello, Project Unify coordinator for Special Olympics Illinois. Planning for the financial future of your family can be more frightening than those Halloween ghosts, but Special Olympics Illinois has found a way to make it easier for you. We invite you to join us at a Special Needs Trust meeting from 6:30-8 p.m. Nov. 14 at Mellon Administrative Center, 703 S. New St., Champaign. You will learn how to keep your financial assets while still receiving government funding. The meeting will contain valuable information about SSI, SSDI, types of Trusts and family communication. 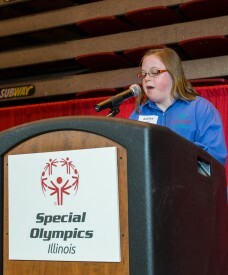 Our presenter is a member of the Special Olympics Illinois family who is also a national expert on this topic. If you already have a trust, you may bring a copy for this expert to review. There is no charge for this event, but space is limited. Please call in advance to reserve a place at the meeting: contact Sheila Devine at 630-942-5616. It’s not too early to book your room(s) for the 2014 Summer Games trip to Normal. The 2014 Summer Games Hotel List lists several hotels in the area offering special discounts for families attending Summer Games, June 13-15, 2014. Please mention that you are booking for the Special Olympics Illinois Summer Games when you call. Volunteers are needed for 4-hour shifts or for the entire day (8 hours). There are two shifts – the first shift is from 8 a.m.-noon and the second shift is from 11:30 a.m.– 3:30 p.m. If interested, please click on the button below to register as a volunteer. Volunteers are needed for the following positions and times. If interested, please click on the buttons below to register as a volunteer. Alpine Skiing at Chestnut Mountain, Galena (must be proficient skier or snowboarder) – noon-3:30 p.m.
Snowshoe & Cross Country Skiing at Chestnut Mountain, Galena – 11 a.m.-3:30 p.m.
Alpine Skiing at Chestnut Mountain, Galena (must be proficient skier or snowboarder) – 9 a.m.-4:30 p.m.
Snowshoeing & Cross-Country Skiing at Chestnut Mountain, Galena – 8 a.m.-4:30 p.m. Awards at Chestnut Mountain, Galena – 9 a.m.-5 p.m.
Alpine Skiing at Chestnut Mountain, Galena (must be proficient skier or snowboarder) – 9 a.m.-3:30 p.m.
Snowshoeing & Cross-Country Skiing at Chestnut Mountain, Galena – 8 a.m. – 2 p.m. Awards at Chestnut Mountain, Galena – 8 a.m. – 4 p.m. Calling all 6- and 7-year-old Young Athletes! 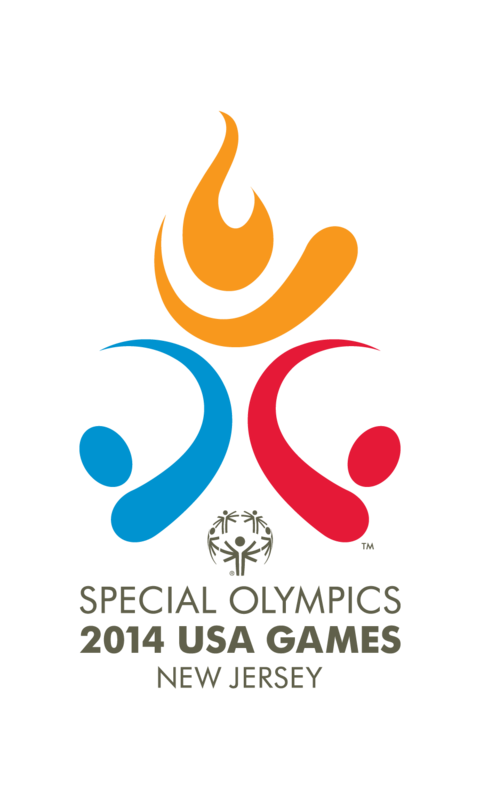 Help kick off the New Year in 2014 at Special Olympics Illinois Winter Games in Galena. 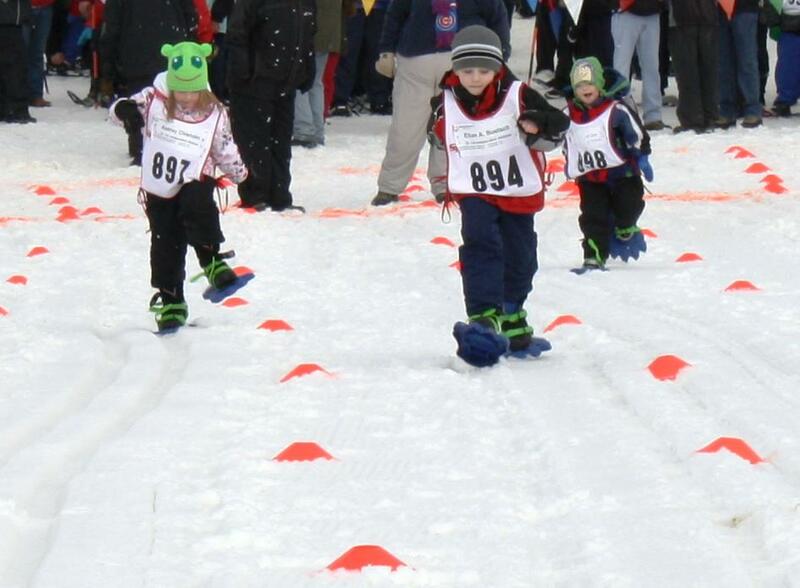 Young Athletes have the opportunity to participate in the 50-meter and 100-meter snowshoe exhibition on Tuesday and Wednesday, Feb. 4-5, at Chestnut Mountain Lodge! Participating in exhibition events is a great way to help Young Athletes transition to the traditional Special Olympics program! Interested in signing up? Click here to download the Winter Games registration form. All 6- and 7-year-old participating must have a Medical Application completed. Click here to download an application. For more information, please email youngathletes@soill.org. 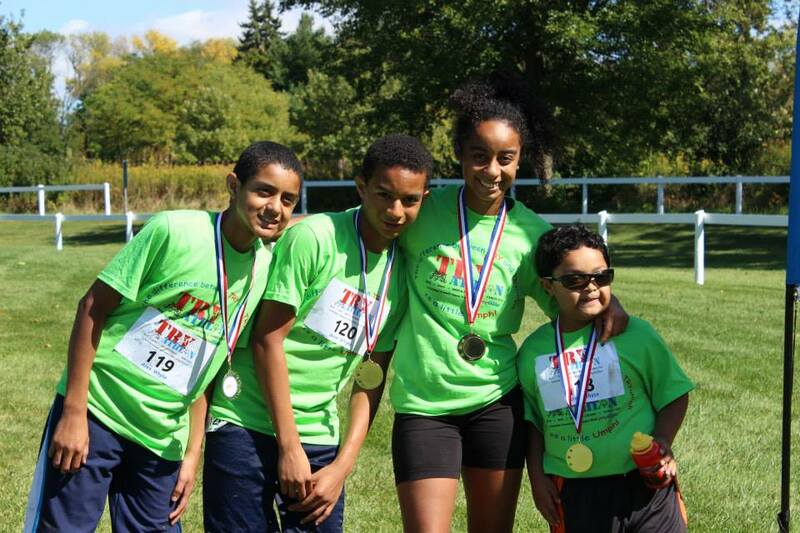 The Special Olympics Illinois Young Athletes hosted their 3rd annual TRYathlon event on Sept. 29 at the Danada Forest Preserve in Wheaton. Eighty-five friends and families participated in a 1-mile run, a 3.5-mile bike ride and raced through a 12-station obstacle course. 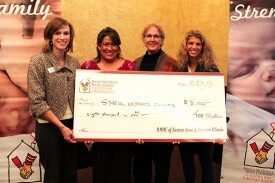 More than $12,000 was raised to support Special Olympics Illinois Young Athletes! 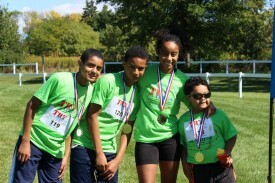 Thank you to all participants, volunteers and supporters for helping to make the TRYathlon a success! A special thanks to Guggenheim Partners, USG and Palos Sports for sponsoring the event! As Young Athletes reach 6 and 7 years old, they have many opportunities within Special Olympics Illinois to experience the next level. The 6- and 7-year-old Young Athletes have the opportunity to participate in traditional Special Olympics sports at state-level Special Olympics events. State Winter Games – Feb. 4-5 in Galena – Young Athletes can be a part of snowshoeing by showcasing their skills. All events take place at Chestnut Mountain Lodge. State Basketball Tournament – March 14-16 in Bloomington-Normal – Young Athletes can be a part of basketball season by showcasing their Individual Basketball Skills right alongside traditional Special Olympics athletes from across the state. State Summer Games – June 13-15 in Normal – Be a part of one of the biggest amateur athletics event in the state of Illinois! Young Athletes can participate in the 50-meter run, tennis ball throw or showcase their Individual Soccer Skills. 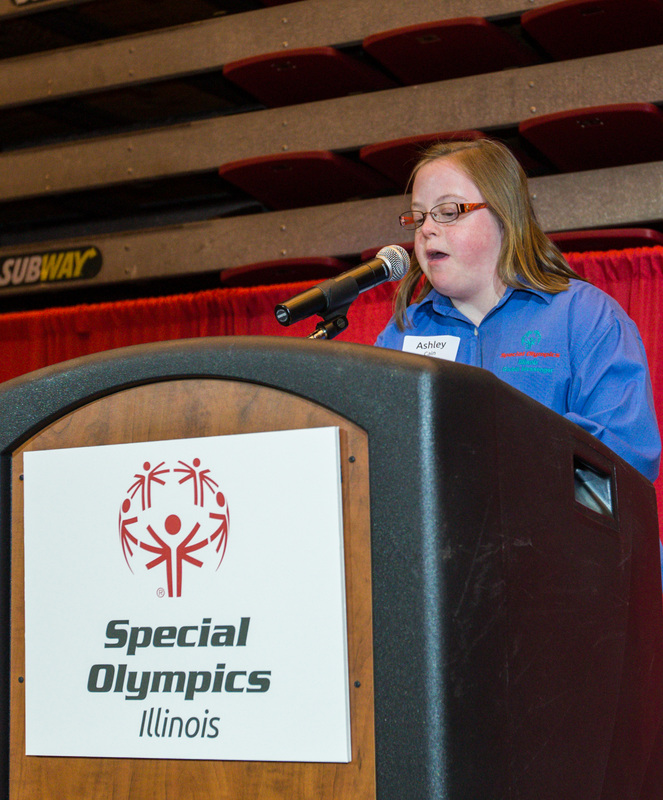 All events take place on Illinois State University’s campus alongside more than 3,500 traditional Special Olympics athletes and 2,500 volunteers. Outdoor Sports Festival – (Tentative) Sept. 13-14 in Decatur – Young Athletes can participate in Individual Golf skills or be a Big Leaguer and showcase their Individual Softball Skills at the Outdoor Sport Festival alongside traditional Special Olympics athletes from around the state. With these exciting opportunities quickly approaching, we have only limited spots for each Special Olympics sport and the registration deadline is usually a month in advance. All participating 6- and 7-year-olds must have a valid Medical Application. Young Athletes can snowshoe, run, throw and so much more alongside traditional Special Olympics athletes from all across Illinois! If you are interested in participating in one or all of these events, please contact us to reserve your space, and we will ensure that you have completed the necessary paperwork. Email Young Athletes staff at youngathletes@soill.org for more information. 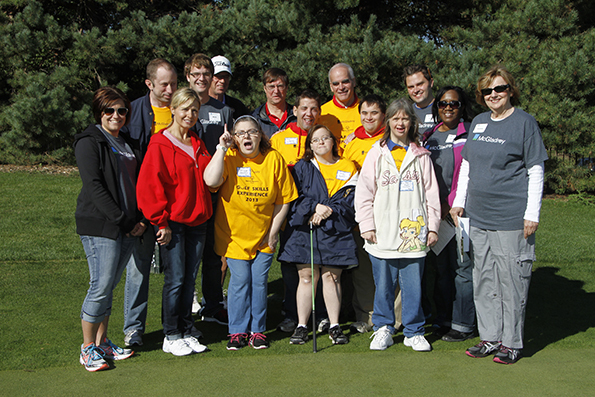 Approximately 50 athletes from throughout Special Olympics Illinois Northwestern/Area 1 participated in the McGladrey Golf Experience at Aldeen Practice Center, Rockford, on Sept. 24. Golf pros demonstrated the six different skills, while staff from McGladrey of Rockford escorted the groups to the different holes. This is the third year for the event that not only gives athletes who have not competed in golf the chance for this experience, but also generates approximately $12,000 to benefit Area 1. 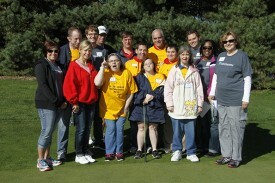 After the golfing is complete, certificates were presented to each athlete and lunch served at the Aldeen Golf Course. See more photos from McGladrey Golf Experience. The Young Professionals Board (YPB) of Special Olympics Illinois is hosting the 3rd Annual Thanks-for-Giving event Thursday, Nov. 6, to raise funds to support the athletes in Chicago/Area 3. The YPB will host the Thanks-For-Giving Wine & Beer Tasting event from 6 to 8:30 p.m. Nov. 6 at Carnivale, 702 W. Fulton Market, Chicago. The event will feature delicious wine and beer samples, complimentary hors’doeuvres and will include a great silent auction and raffle. Auction prizes include tickets to Chicago Bears, Bulls and Cubs games, theater tickets, happy hour parties, autographed memorabilia and gift cards to many Chicago restaurants, theaters and salons. Tickets can be purchased for $50 at the door. Call 773-278-2178 for information. The Signature Room at the 95th feels very strongly about giving back to the community. The restaurant has created a Charity of the Month program which has shared more than $1 million dollars to nonprofit organizations in the Chicagoland area. The Signature Room has selected Special Olympics Illinois to be their Charity of the Month for December. 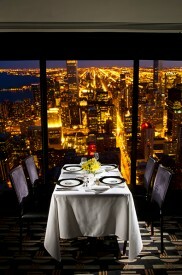 The Signature Room offers seasonally monthly menu selections. Special Olympics Illinois will receive 10 percent of the sales from this dinner menu throughout the month of December. Located atop the John Hancock Center, the Signature Room at the 95th offers diners exquisite food, superb service and a dazzling skyline view. The elegant wood designs and art deco interior create an inviting and intimate atmosphere, while the floor-to-ceiling windows exhibit the stunning Chicago skyline and 360 degree views of the entire city of Chicago. Enjoy dinner at the Signature Room during December and order from the monthly menu to share a donation with Special Olympics Illinois. For more information, call 773-278-2178 and to make a reservation call 312-787-9596. 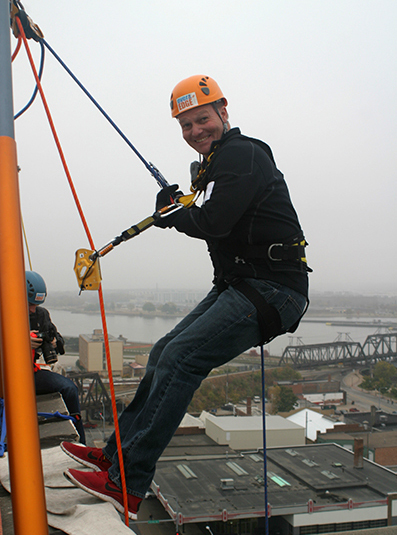 On Oct. 30, 35 thrill-seekers – including SOILL President & CEO Dave Breen – took their support of Special Olympics to new heights by rappelling down the 131-foot Hotel Blackhawk in downtown Davenport during the Over the Edge event! Participants raised a minimum of $750 for the privilege to rappel down Hotel Blackhawk – many of them doing so in rain! The $31,000 fundraiser was a joint effort between Special Olympics Illinois, Special Olympics Iowa and the Law Enforcement Torch Run. Special thanks to Rhythm City Casino, which provided a $2,500 cash sponsorship! All money raised from the event supports Special Olympics in both states! View photos from event. Ronald McDonald House Charities of Eastern Iowa & Western Illinois has once again teamed with Special Olympics Illinois to help transform the lives of more than 350 children with intellectual disabilities throughout Western Illinois. SOILL Western/Area 4 received $8,000 so that athletes can participate in events throughout Illinois free of charge. RMHC of Eastern Iowa & Western Illinois annually awards grants to non-profit organizations with programs that improve the health and well-being of children. This year, 13 organizations in the Quad Cities and western Illinois area were selected to receive a total of $71,000 in grant funding. Recipients were recognized at a luncheon in Davenport on Wednesday. In the past six years, more than 37,000 children in Iowa and Illinois have been impacted through $226,157 in grant funding from RMHC of Eastern Iowa & Western Illinois. 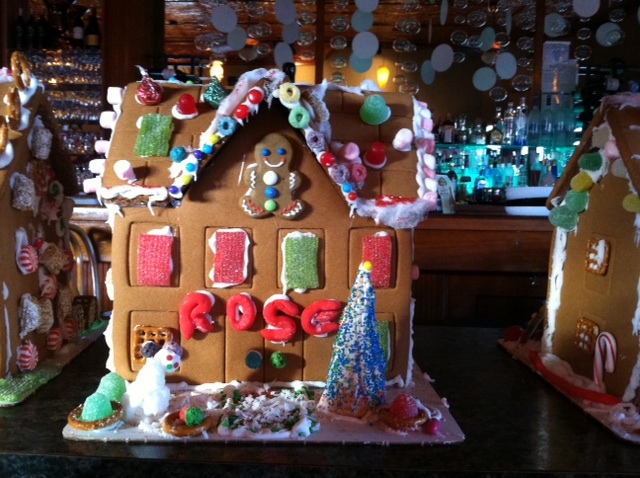 On Monday, Nov. 4, Ann and Mark Weisbrod from MarkAllen’s American Kitchen invited nine Special Olympics athletes from Starved Rock/Area 16 to participate in the making of gingerbread houses. 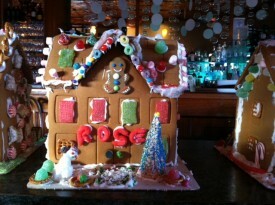 The finished products will be included in a display of hand-crafted houses at the restaurant starting in mid- November. The public will make donations to their favorite houses. Proceeds from the event will benefit the Area which serves more than 550 athletes in a seven-county area. Since 1998, the Kane County Chiefs of Police Association has sponsored a Harley-Davidson Raffle to benefit the Law Enforcement Torch Run® for Special Olympics Illinois. More than $1.2 million has been raised through this raffle by the dedicated efforts of law enforcement throughout the state, including more than $108,000 in 2013. These lucky individuals were invited to a finalist event, which will be held on Nov. 23 at Chi-Town Harley-Davidson in Tinley Park. The event will feature a catered breakfast, short program and an exciting finale: each finalist will randomly select one of the six identical bikes lined up on the showroom floor, and all at once, they will attempt to start their bike. The bike that starts is our 2013 winner! All remaining finalists will receive a 50” LG Plasma HDTV. The 5th annual Law Enforcement Torch Run® Plane Pull at O’Hare International Airport was a record-breaking success, raising more than $135,000 for Special Olympics Illinois! 64 teams of 20 members pulled a UPS A300 weighing more than 90 tons on Sept. 21. 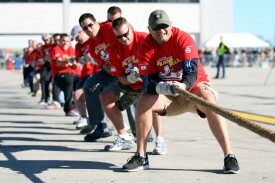 The Chicago Police Department – O’Hare won the pull-off to be crowned Grand Champion, pulling the plane 12 feet in only 9.81 seconds. Team Maine South, a group of high school football players from Maine South High School, won the open division and had a final pull time of 10.06 seconds. Click here for more information on this ultimate man versus machine challenge. Truckers from across the U.S. and Canada participated in the World’s Largest Truck Convoy for Special Olympics on Sept. 28. The Illinois Convoy, presented by Marina Cartage Inc., began at the First Midwest Bank Amphitheatre in Tinley Park. 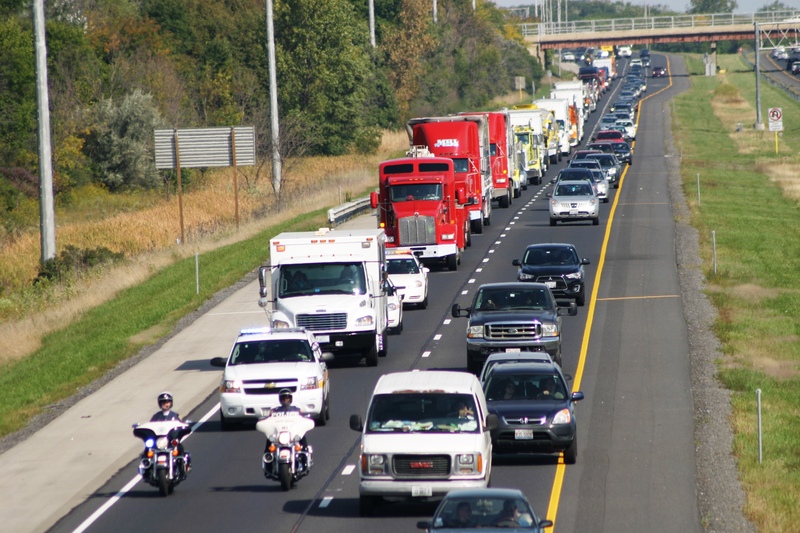 The convoy of 84 trucks was escorted by law enforcement for approximately 22 miles before returning to the starting location for some great music, food and fun! This year’s Truck Convoy was once again a success, raising $42,250 for Special Olympics Illinois! This was certainly an unforgettable celebration of the trucking industry and law enforcement joining forces for a worthy cause. Mad for First Look for Charity! Be sure to designate Special Olympics Illinois as your charity of choice for the 2014 First Look for Charity Auto Show Preview event! Your purchase will benefit the more than 21,300 athletes of Special Olympics Illinois as well as gain you access to our Mad Men themed hospitality suite. You’ll enjoy signature ’50s/’60s cocktails, hors d’oeuvres, décor, music and more! Dress in your best mid-century formal wear and make Don Draper and the rest of the Mad Men crew proud! 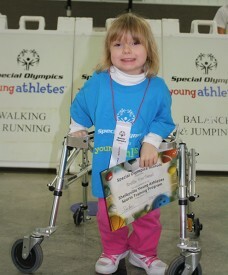 Make your online reservation now at www.specialolympicsfirstlook.org. Purchase your tickets by Dec. 1 and you’ll be entered into a drawing for a downtown Chicago weekend getaway! This year’s event will be held Friday, Feb. 7, 2014, at McCormick Place in Chicago, and we are honored to return as one of the 18 benefiting charities to this premiere, black-tie event. This annual black-tie affair provides attendees with a “first look” at the nation’s largest auto show before it opens to the public. This year, attendees will enjoy live entertainment featuring the ‘80s cover band Sixteen Candles, in addition to hors d’oeuvres, champagne, wine and desserts while strolling the show floor that boasts hundreds of new vehicles, dozens on display for the first time! Attendees will also have the chance to go home in a 2014 Toyota Highlander or Corolla (winners must be present). We hope you’ll join us at this wonderful event in 2014! If you have any questions or need additional information, please contact Corinne Zollars at 630-942-5614. First Look for Charity and the Chicago Auto Show are presented by the Chicago Automobile Trade Association, representing the new-car dealers of Chicagoland and northwest Indiana. Tuxedo attire is mandatory. The Finish Line Youth Foundation has launched its 2013 Holiday Drive in more than 650 Finish Line stores across the U.S. and online. This year’s goal for the Holiday Drive is $1.5 million as Finish Line customers are encouraged to cheer on athletes everywhere with their donations. Last year, the Youth Foundation holiday campaign and Finish Line employees raised $1.45 million. The first $1 million raised will benefit Special Olympics, Finish Line’s national signature cause. This money will help fund Special Olympics activities nationwide, including TRAIN (Testing Recreational Activities and Improving Nutrition), a sport and nutrition assessment tool for athletes and their families. Donations above $1 million will help fund the Youth Foundation’s grants for community-based youth athletic programs as well as camps and other organizations that provide services to individuals who are disadvantaged or disabled. Finish Line customers are encouraged to donate at checkout both in-store and online through Dec. 31.